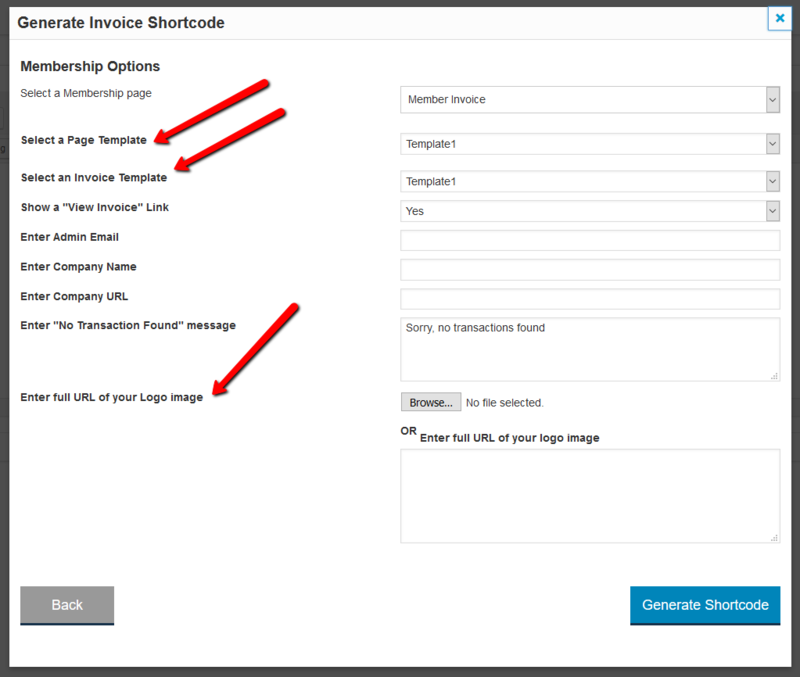 You can use [DAPShowTransactions] shortcode to create an invoice page. This shortcode will display a list of all the payments made by the logged-in member and an invoice link for each. Your members can click on the "View PDF" link to view their invoice. Steps to create an Invoice Page. Create a new WordPress Page. Say you call it "My Purchase Receipts". Now click on the "DAP Member Pages" button. In the editor, select "Member Invoice" and click on Next. Select a Page Template, Invoice Template, enter logo image URL and fill in the rest of the fields. 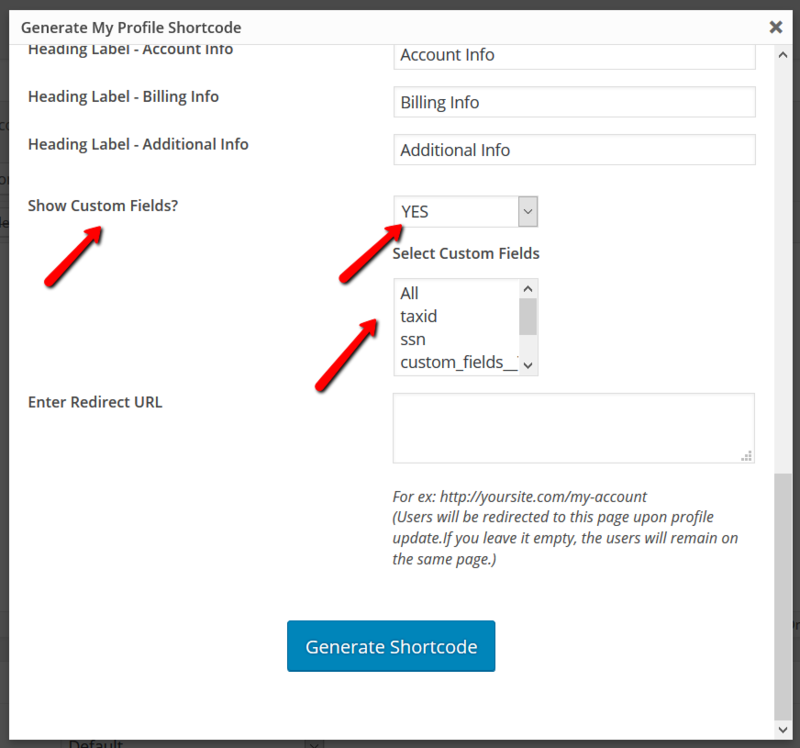 Click on Generate Shortcode button. Save the page. Now login to your membership, visit the page and you'll find all the payment orders listed on the page. Here's an example of an invoice pdf that opens up when a logged-in members clicks on the "View PDF" link on the purchase receipts page. If you want to customize the page template or the invoice template, please hire a css/html developer to make the updates. We do not offer support for custom css/html updates. Create a copy of the css file and add "custom" in the file name. Create a copy of /wp-content/plugins/DAP-WP-LiveLinks/includes/transactions/template1/transactiontemplate.css. Upload customtransactiontemplate.css back to /wp-content/plugins/DAP-WP-LiveLinks/includes/transactions/template1 folder. Create a copy of the header file and add "custom" in the file name. Create a copy of /wp-content/plugins/DAP-WP-LiveLinks/includes/transactions/template1/transactionHeaderTemplate.html. Upload customtransactionHeaderTemplate.html back to /wp-content/plugins/DAP-WP-LiveLinks/includes/transactions/template1 folder. 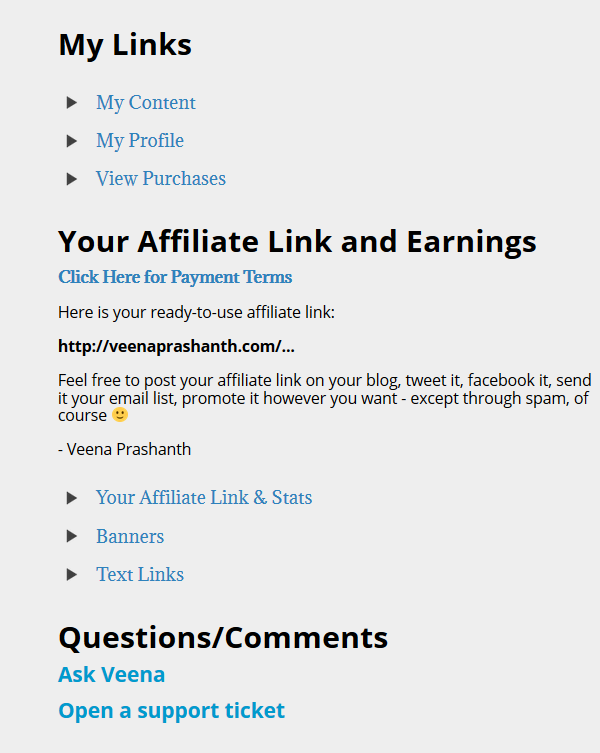 Upload customtransactiontemplate.html back to /wp-content/plugins/DAP-WP-LiveLinks/includes/transactions/template1 folder. Create a copy of the invoice template file and add "custom" in the file name. Upload custominvoicetemplate.html back to /wp-content/plugins/DAP-WP-LiveLinks/includes/transactions/template1 folder. 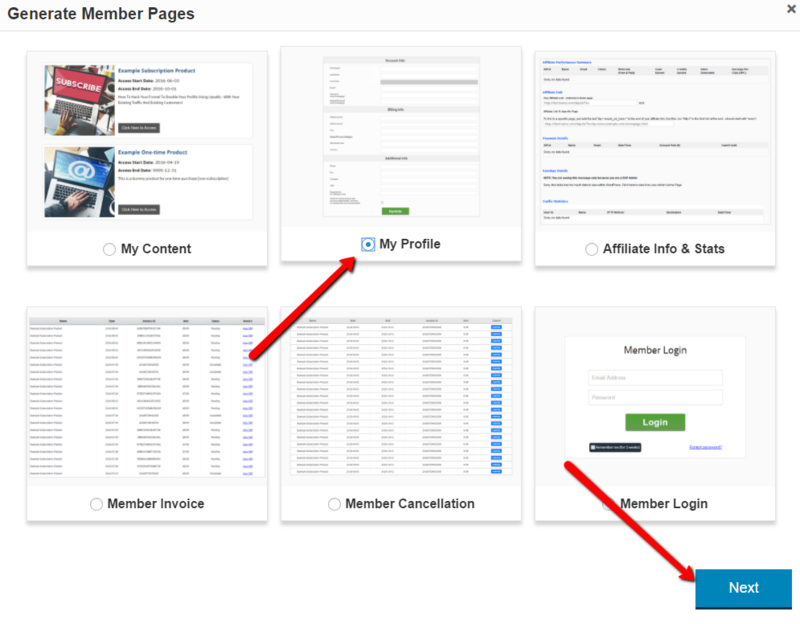 This is the page that displays all of the member profile fields. When your logged-in members view this page, they’ll find all their profile information (for ex- email, password, address fields, custom fields etc) displayed on this page. They can also update their profile information on this page. 2. Create a new WordPress Page. Say you call it “My Profile”. 3. Now click on the “DAP Member Pages” button. And then select “My Profile” and click on Next. 4. 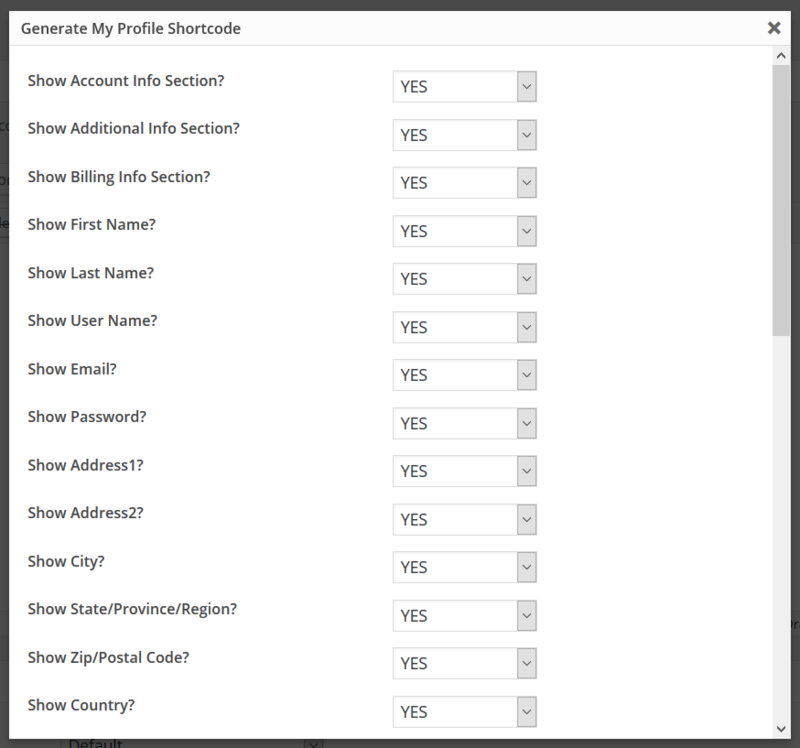 It’ll bring up an editor window where you can configure the fields that you want to display on the profile page. Just set the fields that you don’t want to display on the profile page to “NO”. 5. You can also select the custom fields that you to display. 6. If you enter a “Redirect URL” in the editor , your members will be redirected to that page after they update their profile. If not, they will remain on the same page. 7. Click on the “Generate Shortcode” button to generate the [DAPMyProfile] shortcode. 8. You can now publish the page. 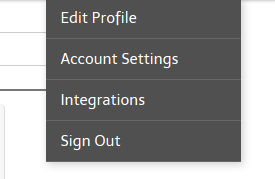 Say you’ve already created a parent page called “Members” or “Member-Home” or “My Account”, you can just add the newly created “My Profile” page as a sub-page under the parent. 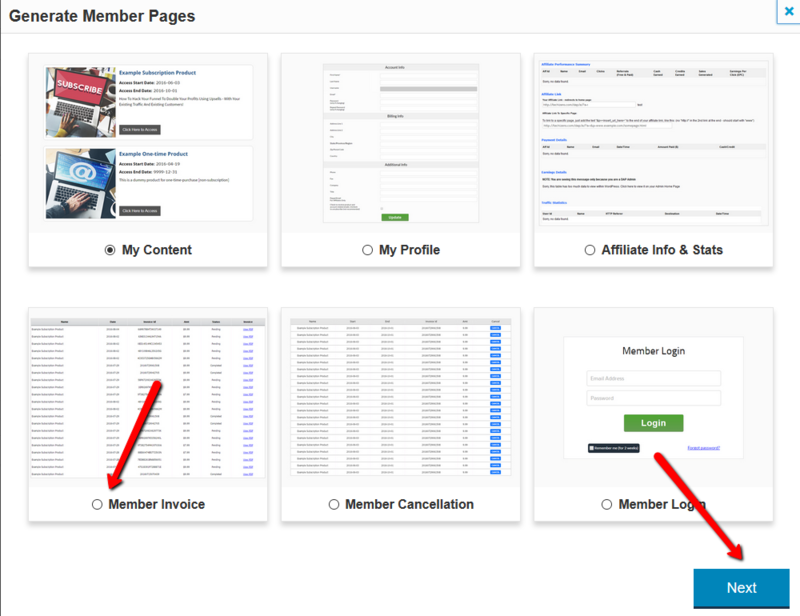 Please refer this documentation for more details on how-to organize your member-facing pages. This page will display a list of all the purchased products (and the available content under each product) to the logged-in member. You can customize what you want to show on this page. Here're the steps to create "My Content" Page. Create a new WordPress Page. Say you call it "My Content". Next click on "My Content" to create a MyContent shortcode. It'll bring up an editor window where you can select a MyContent template, customize style and messages, and also configure the fields that you want to show/hide on your MyContent page. If you want the "My Content" page to only show certain products, you can enter a comma-separated list of product Ids and the "My Content" shortcode will restrict the list to just those products. If you want the My Content to display all products (that the logged-in member has access to), then set it to ALL (default). You can also hide specific product Ids by entering a comma-separated list of Ids in the Hide Product Ids field. 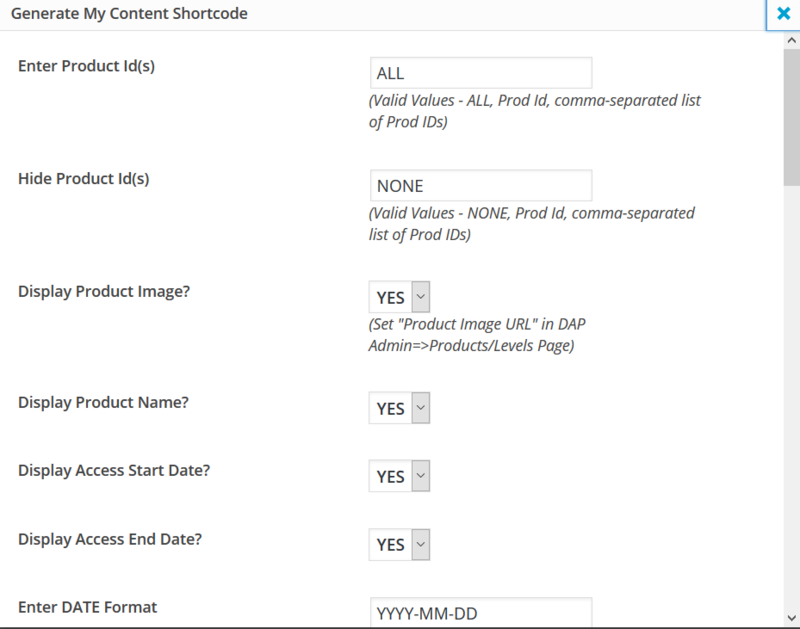 You can configure the "My Content" shortcode to just display the basic product details (and not the individual pieces of content that belongs to each product). 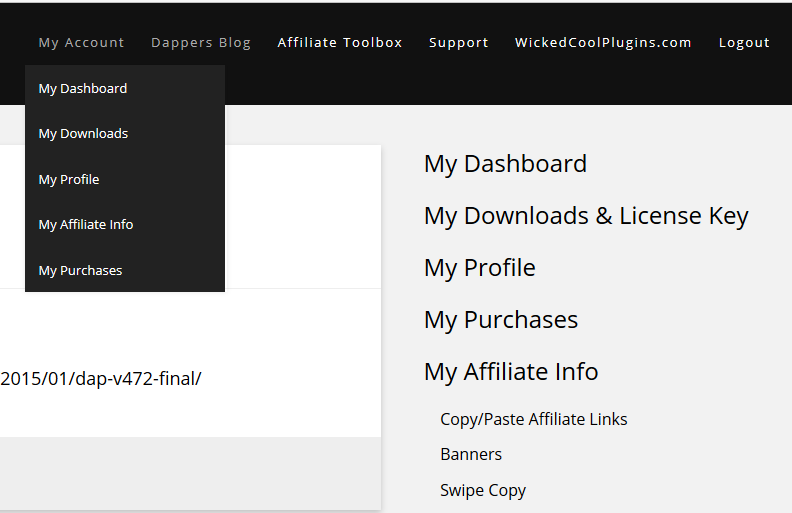 DAP comes with an easy to use shortcode editor that'll allow you to create member-facing pages like "my profile", "my content", "my invoice", "my affiliate links & stats" etc) with the click of a button. You can create a login page for your members using the [DAPLoginForm template="template5"] shortcode. After you create a login page using the DAPLoginForm shortcode, enter the URL of the login page in DAP admin => Setup => Config page => Login URL field. 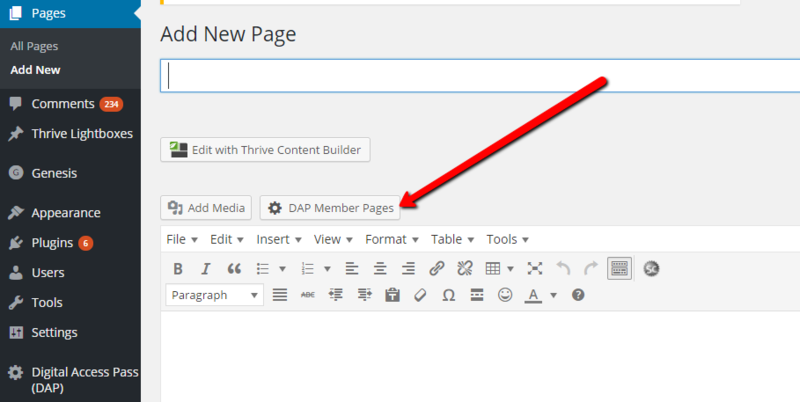 You can create a "My Content" page for your members using the [DAPMyContent] shortcode. This page will list all the products and the content links that are available to the logged-in member. 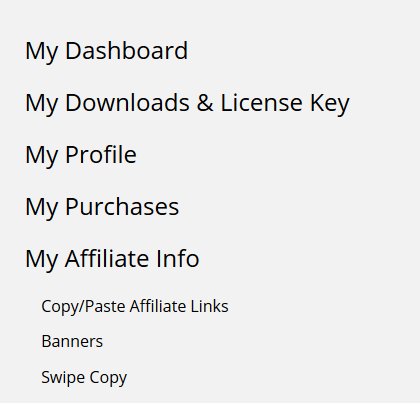 You can create a "My Profile" page for your members using the [DAPMyProfile] shortcode. Your members can update their profile details (for ex - name, email, password, address etc) on this page. 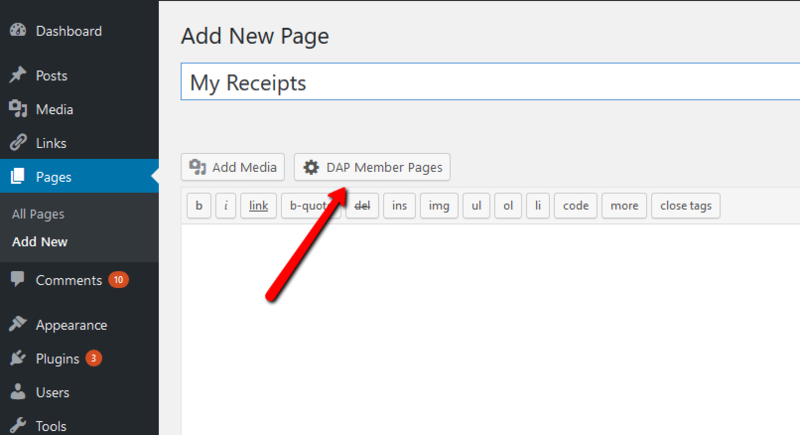 You can create a "My Receipts/Invoice" page for your members using the [DAPShowTransactions] shortcode. It'll list all the payment transactions and a link to the invoice (pdf). 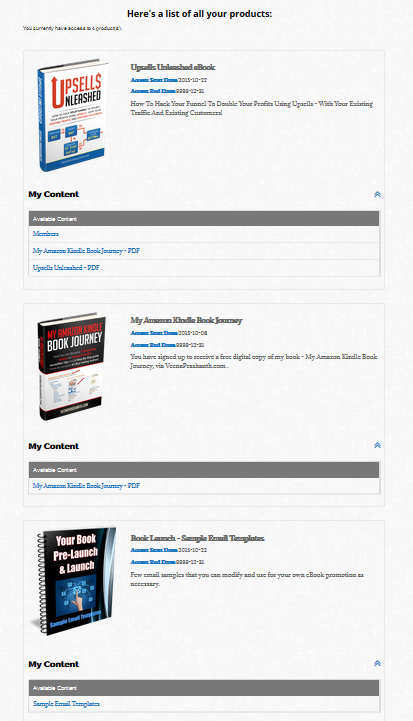 After you create these individual pages, you can organize them however you want. You can add the pages to the main menu, add it to the sidebar navigation, or just add all the links (my content, my profile etc) on say a page called "Members" or "Member-Home" and send the users to this page upon login. Add "Members" or "My Account" to your main menu. Add links to each individual member pages under it. 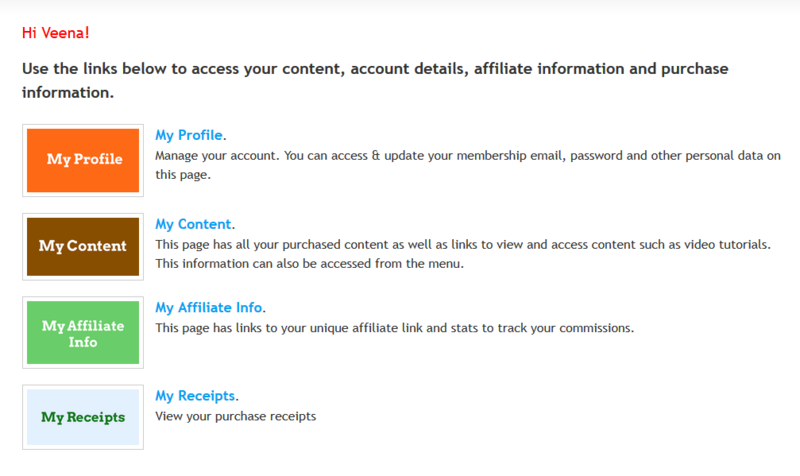 You'll find an example of this when you login to your members area on DigitalAccessPass.co﻿m. You can now connect your DAP-Powered membership site to your favorite marketing platforms in real time and fully automate it in a matter of minutes! 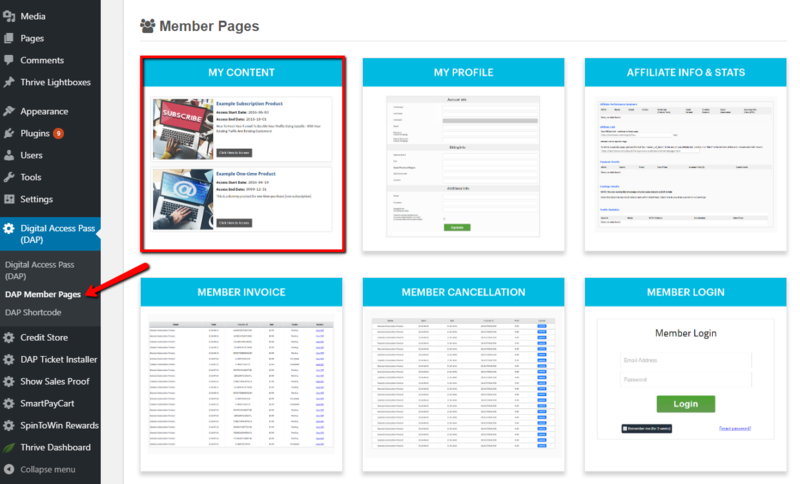 DAPConnect will allow you to automate your marketing campaigns with your membership site. STEP 1: Upgrade DAP to Version 6.x or above. To use DAPConnect, you need to be on DAP v6.x or above. => Download latest version of livelinks from your members’ area on our site, unzip it and upload it to the WP plugins folder on your site (/wp-content/plugins) overwriting the existing DAP-WP-LiveLinks folder. => Download latest version of DAP from your members’ area on our site, unzip it and upload it to the root folder on your site overwriting the existing contents of “dap” folder. Download latest version of DAPConnect zip file from your members’ area. 2. Extract the contents of the zip file. Upload the dap folder to the “root” folder of your site overwriting the contents of your existing dap folder. DAPConnect fully supports Zapier integration. You can connect your favorite ZAPs with DAP in no time. But with DAPConnect, you can integrate your marketing platforms with DAP – with or without Zapier! Let me take you inside the world of DAPConnect! There are 2 ways in which you would want to connect external systems to DAP. Your subscribers are added to the external system first and you want them added to DAP automatically and in real time. Your subscribers are added to DAP first and you want them added to the platform of your choice automatically and in real time. DAPConnect will allow you to do both. There are 3 different ways in which you can achieve this integration. Map the field names that your marketing platform is sending to the field names that DAP can understand. Please see the section below to find out “how-to figure out the field names that your marketing platform sends in the HTTP Post Notification”. Zapier’s allows you to connect your apps. You pick two different apps, and when something happens in one app—say, when you receive a new message in your email app—it automatically does something in the other app. For e.g. it’ll send you a SMS about your email or save that message to your notes app. You can do almost anything automatically when your apps work with Zapier. Now you can use the power of Zapier to automate your DAP powered membership site in many different ways. You can use existing ZAPs and integrate it with DAP. Setup action triggers to notify DAPConnect whenever a new subscriber event is triggered in one of your ZAPs. ConvertKit is a very popular email marketing platform and it has a “new subscriber” ZAP. You can setup an action trigger to notify DAP whenever a new subscriber is added to your ConvertKit list. This way the subscriber will be added to your DAP powered membership site automatically. More and more marketing platforms are building Zapier support as this allows their customers to connect their favorite platforms. And now… you can connect your favorite platforms with DAP using Zapier! You can find the field names that your marketing platform sends out in the DAP Admin => System => Logs. Please follow these steps to enable logging. Now signup using the Signup Form you generated in your Marketing Platform. Check the contents of the DAP log to find out the field names that your marketing platform is sending out in the HTTP POST Request. Watch this video to see how to figure out the field names that your marketing platform sends to 3rd party systems like DAP. You can use an app like requestbin.com to inspect the field names in the request header. Use RequestBin to find the field names that your marketing platform is sending and also the format in which the field names are being sent. requestbin.com doesn’t try to interpret the payloads, it just prints them to your screen as it receives them, making it easy to see what is going on. Just click the “Create a requestbin.com” button on their homepage and copy the link in the top bar. Instead of using the DAPConnect URL (http://YOURSITE.com/dap/dapconnect.php), generate a requestbin.com URL and enter that in your marketing platform (wherever it allows you to enter http post or webhook URL). Now signup using your sign up form. It”ll trigger a notification to the requestbin.com URL that you entered in the settings. After you do that, simply refresh your requestbin.com page and take a look. You’ll find the field names and format in which the data is being sent by your marketing platform. Your subscribers are added to DAP first and you want them added to the platform of your choice automatically and in real-time. You can send subscriber data from DAP to external systems in 2-ways. DAPConnect can be configured to send out subscriber and order details to any configured 3rd party URL. The configuration is similar in both cases. [URL Of Your Script] : Enter the URL of your script that should receive the http post from DAPConnect. It could be your ZAP URL or URL of your php script that can process the HTTP request from DAPConnect. Just configure the URL to which the data should be sent and DAP connect will do the rest. Click here to download an example PHP “Webhook Handler” script. Now… DAP connect can ONLY send out the data to the configured URL. After that it’s up to you in terms of how you want to process it. You need to write your own webhook handler to process that data, or use ZAP to send it to another app or take different action based on order type etc. You can process the data and take whatever action you need. DAP will send out all “new subscriber” details to the configured URL – including FREE and PAID subscriber details. 2) Download the latest version of DAP Shopping Cart from your members area on our WickedCoolPlugin.com site. Extract the contents of the zip file. You will end up with a dapshoppingcart folder on your desktop. 3) Rename the existing dapshoppingcart plugin folder (under /wp-content/plugins) to say dapshoppingcart-OLD. This way you can revert back to this version quickly if there are any issues with the new version. 4) Now upload the new version to /wp-content/plugins folder. You should end up with dapshoppingcart folder under /wp-content/plugins. 5) Make sure the new version is active in WP Admin => Plugins. 6) Now add a NEW WP page, and in the ‘visual editor’ tab, you will find a ‘SC’ icon. Click on it to create a new checkout page. Make sure to select ‘template2’ as it’s the new responsive template. Save the page as say – checkout-new. Basically make sure to give it a different name then the current checkout page. 7) Now visit DAP Admin => Payments => Generate Buy Button => Click on DAP Shopping Cart tab. 8) Generate a Payment link or Button. Make sure to enter the URL of this new checkout page in the checkout page url field (STEP 2 of button generation). 9) Publish the button on a test page or visit the link directly in a browser, and the new checkout page should show up! 10) Test your existing payment button. It should continue to point to the old template and continue to work. Make sure to test it. 11) If you are happy with the new checkput template and have tested it, you can then make this your primary checkout page! DAP 4.7.1 has full fledged integration with Samcart. You need to be on DAP 4.7.1 or above to use this integration. Integration between DAP and Samcart is pretty easy. Step 1: The Product Name in Samcart should EXACTLY match the Product Name in DAP. Step 2: The API Key in Samcart Settings -> Membership Portal Integration -> DigitalAccessPass should EXACTLY match the secret key set in DAP Setup -> Config -> Secret Key field. You can make up ANY value for the API Key. For ex, you can just set it to COOLBEANS. Just make sure to set the DAP Secret key in DAP setup -> Config to that same value as the API key in Samcart. If you are integrating subscription products, make sure to read the last section in this article about ‘Subscription Product Integration’. DAP supports automated cancellations and refunds with Samcart. When you process a refund or subscription cancellation in Samcart, then the product access in DAP is automatically revoked. Make sure that on the DAP Products page, under the “Cancellation & Expiration” tab, you specify exactly what should happen when a user cancels their subscription. Possible choices are: “No Action“, “Remove From Product” and “Set End Day To Previous Day“. DAP uses pay-as-you-go-model for subscription products but currently Samcart does not send an IPN (payment notification) upon each subscription payment. Typically if it’s a subscription product, you need to define the product as a recurring product in DAP and set the subscription/recurring cycle in DAP. This way, upon the first payment, the users access to product is extended by the ‘initial’ subscription cycle. 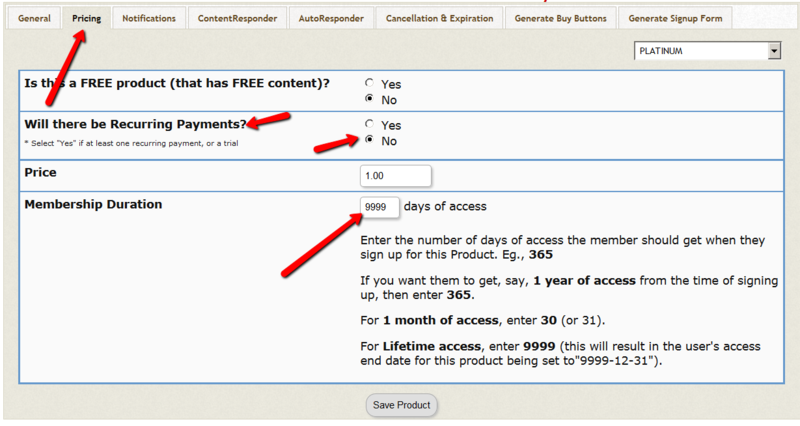 Say it’s a 30 day cycle, then the users will receive only 30 days access to product after the first payment. After the 30 day period, if the next subscription payment goes through successfully, DAP receives the recurring payment notification and automatically extends user’s access to product by another 30 days. But because DAP does not receive the subscription notification from Samcart, the workaround is to set up your recurring product as a “one-time product” in DAP Products Page => Pricing tab. Set the ”membership duration” to 9999 days. This way the users will receive full access (instead of monthly access) right after the first payment. The users will still be charged the subscription amount every recurring cycle automatically by Samcart, so it won’t matter that in DAP the product is setup as a non-recurring/ one-time product. You can control actual content access by using ‘content dripping’. This way even though the users have full access to product, they cannot access the actual content under the product until their membership life matches the drip timer. For e.g. if content is set to drip day 32, then they cannot fast forward and access it on day 1 of membership. They will have to wait until day 32 of their membership to the product to be eligible for that content. If they cancel or request refund, DAP will automatically remove their access to product. Make sure to read the ‘automated cancellations & refunds’ section in this document. DAP now integrates with an affiliate network called Clicksure. The integration is very straightforward and will work for one-off as well as subscription products. Here productId needs to be the DAP product id. SALE, REBILL, REFUND and CANCEL. Upon SALE, DAP automatically CREATES a membership account for the buyer and gives the buyer access to the purchased product. Upon REBILL, DAP automatically EXTENDS user’s access to the subscription product in DAP. 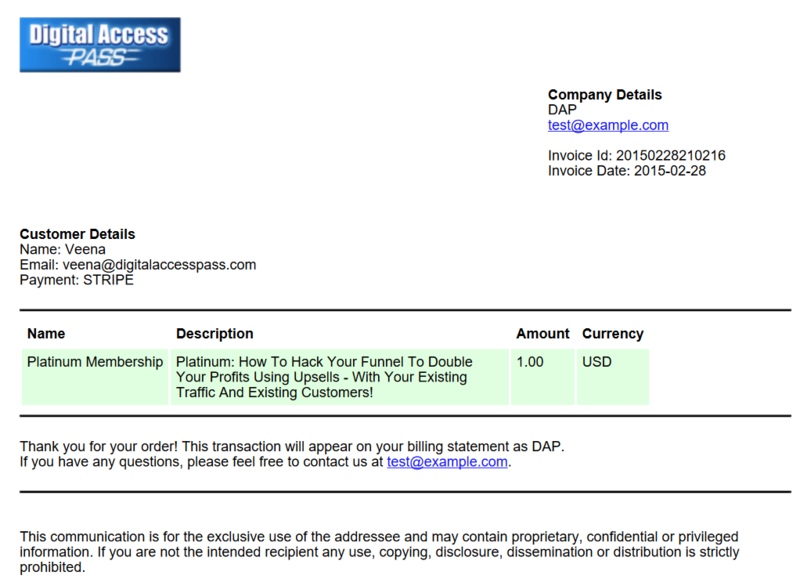 Upon REFUND, DAP automatically REVERSES the payment transaction (earnings etc) and removes user’s access to product. Upon CANCEL, DAP automatically EXPIRES user’s access to product. The access end date is reset to ‘yesterday’. For e.g. say today is 10/21/14, upon cancel the access end date is reset to 10/20/14.